Converting a variable from character to numeric is just a matter of finding the right informats. You can also look up the list of informats on the SAS official website. This is often due to an incomplete data point from the variable. 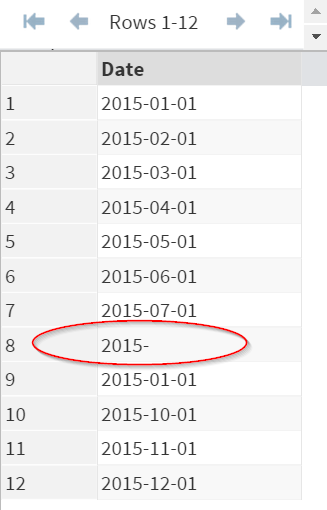 The Date variable above contains an incomplete date (which is very common by the way). 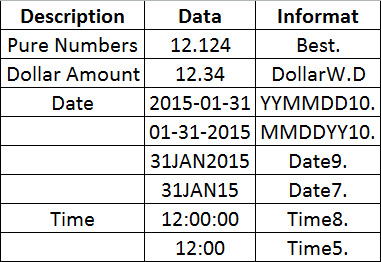 When converting the variable into numeric, SAS will show a note regarding the Invalid data. Although this is not considered an error message, it is a good programming practice to clean it up before continuing your program.